Emily Thoms grew up on a hobby farm in Red Wing, Minnesota. She received a Associate of Applied Science Degree in Veterinary Technology, from Ridgewater College, in Willmar, MN. 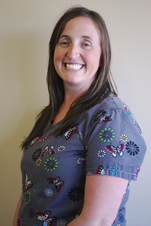 Emily has been with the Hastings Veterinary Clinic since 2005. Melinda Doyle grew up in Hastings, Minnesota. She received a Associate of Applied Science degree from Argosy University in 2001. 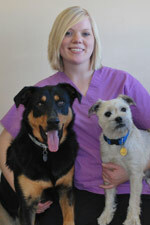 She worked in 2 different clinics until she found her home here at the Hastings Veterinary Clinic in 2004. 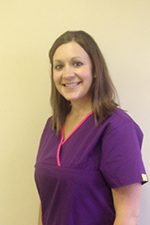 Kelly Matzke is our front desk manager. 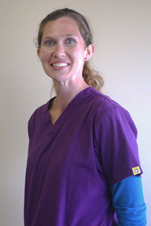 She has been working at the Hastings Veterinary Clinic since 2002. She grew up on a hobby farm in southern Washington County. She is a former 4-H member who kept very busy showing beef cattle, chickens, turkeys, horses, and sheep at various county and state fairs. Kelly attended University of Wisconsin-River Falls. Kelly has a bullmastiff named Gretta. Ashley Toenjes grew up on a hobby farm in Osage, Iowa. She received an Associate of Arts Degree at Waldorf College in Forest City, Iowa. She then moved to Minnesota to pursue her love of animals. 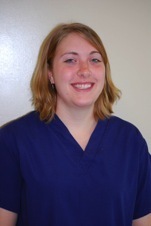 At Rochester Community College Ashley received an Associate of Applied Science Degree in Veterinary Technology. 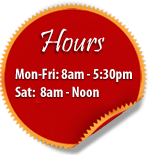 The following fall of 2007 she moved up to Hastings to begin her career at the Hastings Veterinary Clinic. Ashley now has a hobby farm of her own in Cannon Falls. Kim Maier grew up on a dairy and beef cow farm near River Falls, Wi. She attended the Medical Institute of Minnesota and received an Associate of Applied Science degree in Veterinary Technology. 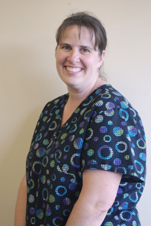 Kim has been working at the Hastings Veterinary Clinic since 1997. She lives on a farm near Ellsworth, Wi with her husband and 5 children.